Living… in Beacon Hills, California. Beacon Hills seems like a completely normal town, full of totally normal people. But when Stiles decides to check out the scene of a recent animal attack, he starts to discover that Beacon Hills is a lot stranger than it seems. Interests… investigating murders, much to the chagrin of his father, the Beacon Hills sheriff. It’s when he and his best friend, Scott McCall, go to check out a murder scene in the woods that things start to get weird in town. 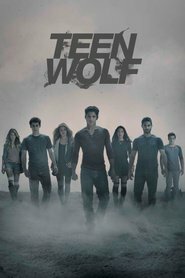 Recently, Stiles has been investigating the supernatural goings-on – specifically what causes werewolf transformations and why the werewolves are in Beacon Hills in the first place. Relationship Status… single. Stiles considers that fact somewhat tragic, since he’s been in love with popular girl Lydia Martin for years. Too bad she’s dating the captain of the lacrosse team; there’s no way Stiles can stand out next to Jackson Whittemore. And now that Scott has suddenly become the star player on the lacrosse team, Stiles seems to have even less of a chance. Challenge… dealing with the fact that his best friend Scott has become a creature of the night, i.e. a werewolf. Stiles takes this as much in stride as anyone can, and turns his attention to how and why Scott has started turning into a wolf when he gets stressed or excited. On top of that, Stiles also has to figure out the identity of the evil werewolf who bit Scott in the first place. They suspect the brooding Derek Morgan, who denies it. Personality… upbeat, cheerful, and witty. Although he seems jumpy, Stiles is hard to seriously rattle, and takes the lycanthropic developments in Beacon Hills much better than an average teenager would. However, he is a little resentful of being relegated to the role of sidekick once Scott becomes a supernatural beast. Stiles wishes he could stand out more than he does. Stiles Stilinski's popularity ranking on CharacTour is #23 out of 5,000+ characters. See our top-ranked characters and read their profiles.